If you’re like me, school is back in session and most mornings the alarm comes way earlier than you’d like, am I right? In my house, there are lunches to pack, showers to be had, workouts to be completed and breakfast to be eaten – and sometimes I’d like something more than a green smoothie, scrambled egg or piece of toast with nut butter. 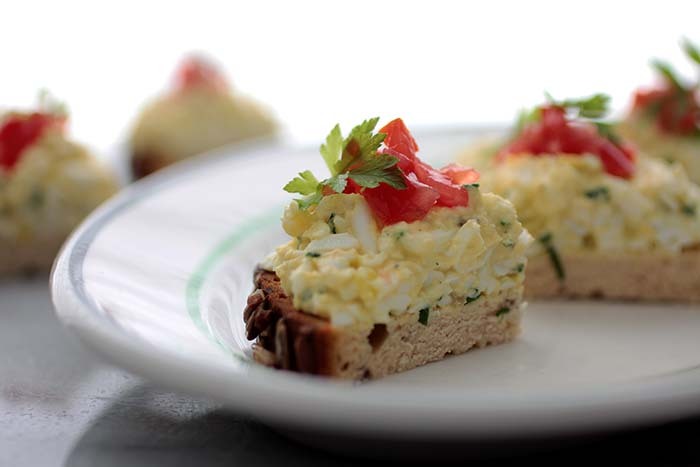 The Professor needs something with protein but we also want our breakfast healthy – as in nothing with sugar yet is filling and tastes great! 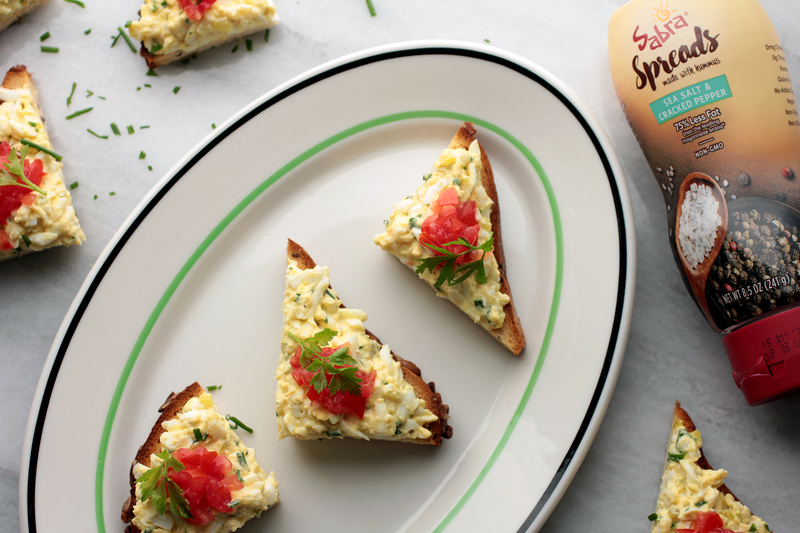 This gluten-free egg salad breakfast open-faced sandwich is made using the Sea Salt & Cracked Pepper of Sabra’s new line of refrigerated spreads designed for sandwiches. Besides being a new way to love hummus, these new spreads contain 75% less fat than mayo and come in convenient squeeze bottles and best of all, they taste delicious! 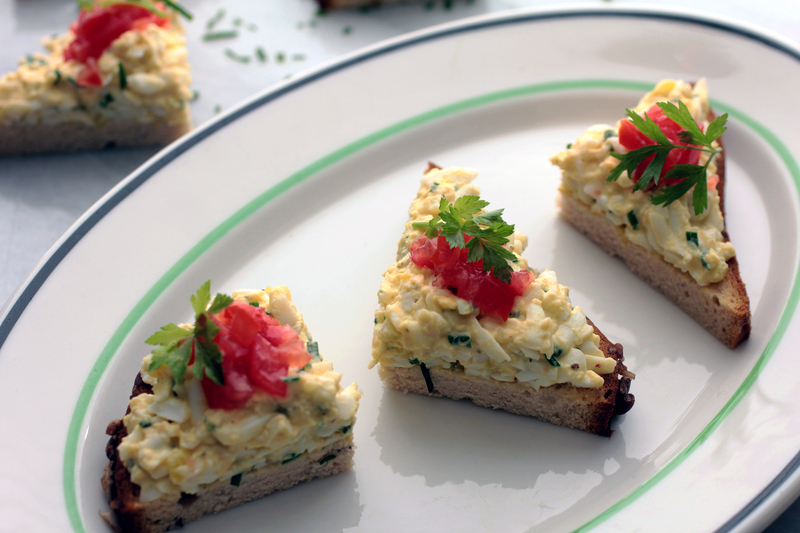 Try Garlic Herb spread on a veggie sandwich or Honey Mustard spread paired with Ham or chicken – or make this egg salad breakfast sandwich (The Professor packed a few triangles in his lunch to enjoy with his soup). Sandwiches taste better with #SabraSpreads!